As January 1st quickly approaches here (happy new Year to those whose clocks have already changed! ), I just wanted to remind anyone who is interested that my other new prompt begins tomorrow for The Escapist Coloring Club. I’ve designed a badge in paint – it’s nothing to write home about, but it’s something. I’ll likely change it eventually to make it more fancy. The prompt post will go up tomorrow with the rules, which will be slightly different as the prompt is, so far, only once a month. If you’d like to start preparing your posts today, I’ll be asking for one full shot of your colouring project, and at least one closeup of a part you’re particularly proud of, if there are any. Don’t forget, your prompt photo can be your own colouring, your kids’, or even your significant other’s if you’d like. The prompt will go live at 9:30am (-5 GMT), and entries will be welcomed all week, so don’t stress over it! The entire point of this prompt is to give yourself time to relax. With that, I wish everyone a healthy, joyous, and prosperous new year. Cheers to 2018! 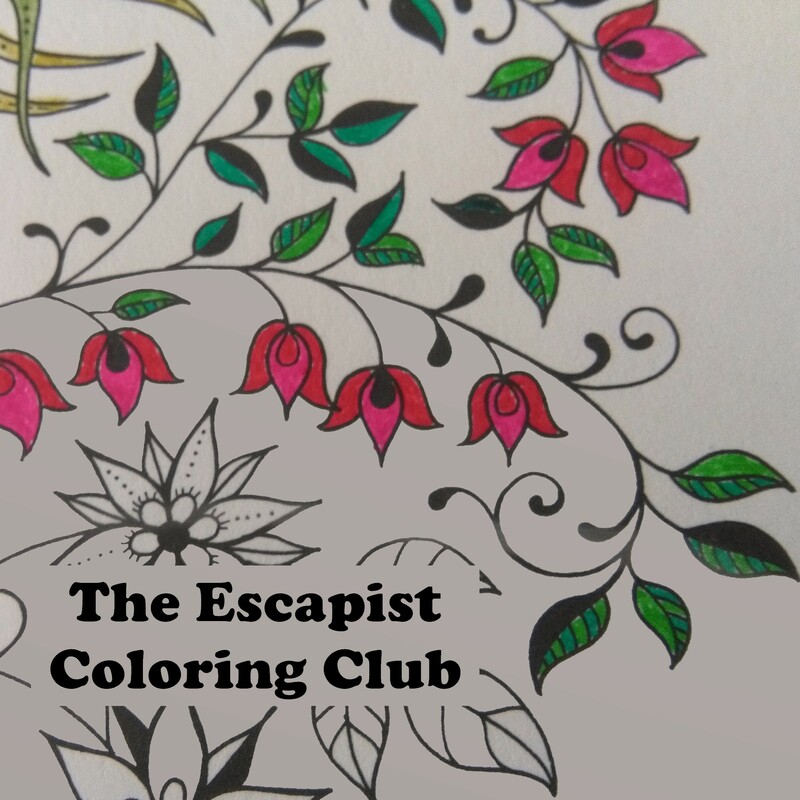 Categories: Blogging, Blogs, Prompt, The Escapist Coloring Club | Tags: adult colouring, blogging prompt, colouring, creativity, fun, inspiration, photo prompt, relaxation, support | Permalink. Happy New Year Linda, 2018 has started ok, sunny and warm….I take it one has to be able to colour between the lines? I think my shaky hand may disqualify me from this one. Sorry to hear you won’t be joining the club. I couldn’t do it either without my magnifying glasses. Wake up each morning, stand up and take a step forward, from that starting point there’s always hope.